Finland has historically been on the frontier between Western and Eastern Europe, between the Swedish Empire and the Russian Empire, and between the Catholic and later the Protestant Western Church and the Orthodox Eastern Church. Today it is an independent, modern Nordic Welfare State. It is a land of great natural beauty, and nature interacts with every facet of Finnish life. Finland has quickly come a long way from the poverty that was common right up to the 1960s. It is one of the fastest-growing economies in the world, and is a changing society. The Finns can be melancholy, but they have a great sense of humor. Their music is often in the minor key, but they love to dance, sing, and perform. They maintain a raft of traditions, from name days to near-pagan rituals—but they are great innovators. They are survivors: if you were stranded on a desert island, your ideal companion would be a Finn. Before you knew it, the sauna would be ready, fishhooks positioned in the sea, a fire burning, and any edible mushrooms and berries picked and prepared for eating. Culture Smart! Finland is an essential part of your travel kit whether you are visiting for pleasure or for business. 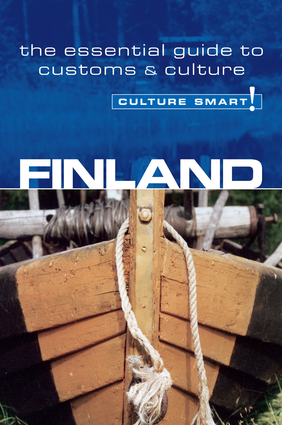 Through learning about the values and traditions that have shaped modern Finnish sensibilities, and the customs, culture; work and social life of the Finnish, each visitor can hope for a much richer and more rewarding experience! Finns are serious and attentive when listening to you. They will not interrupt and do not want to be interrupted in return. They also do not always smile a great deal, and there is very little overt body language. Silence, when considering what has been said, is expected and accepted. Responses can take a long time to come.